The jacket is really comfy and keeps me warm. It is best if you are going in snowfall as I did. The quality is genuine with no loose stitches or falling threads. Strong and durable. For me, this jacket is like a winter uniform because I love travelling and adventure. I received it last week and impressed by the quality of fabric. It is really warm and the outlook is very stylish with buttons left and right. Good one for winters! 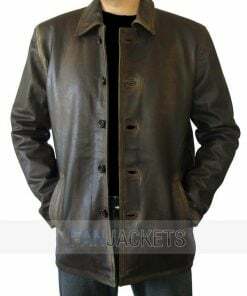 The Ben Affleck jacket is prepared from the authentic wool blend fabric. It has fur hoodie feature with button and zip closing. Moreover, snap tab in the cuffs gives you an adjustment option. The inside viscose lining made it comfortable attire for the winters. Well, it’s a perfect wear for outings, travelling and for semi-casual and semi-formal events. 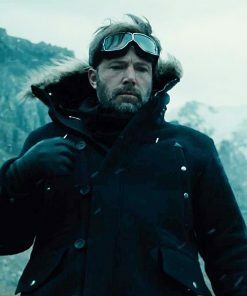 Shop the Ben Affleck jacket before the snow falls.